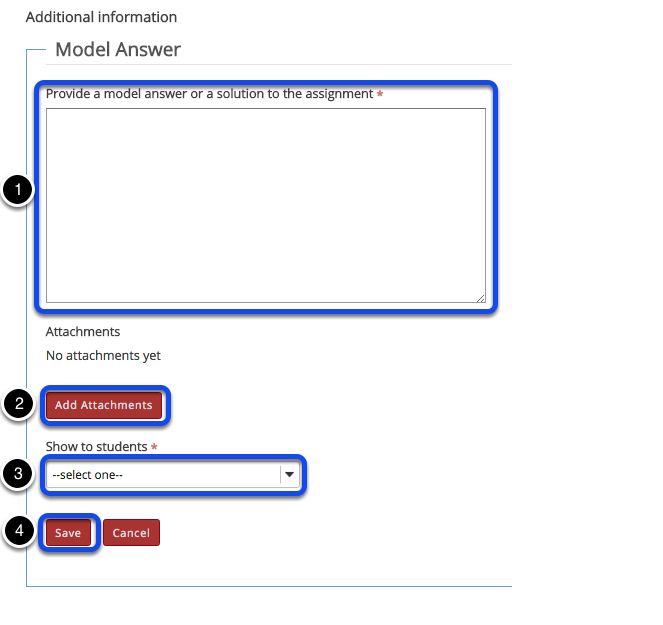 Instructor User Guide AssignmentsHow do I add an assignment? 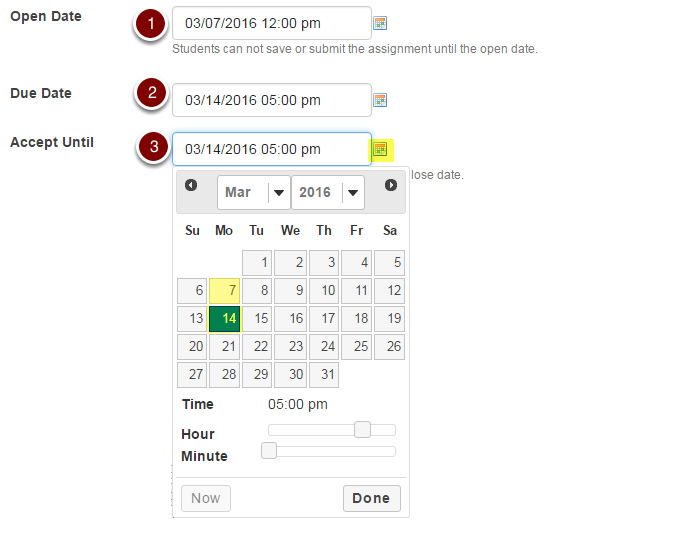 Go to the Assignments tool. 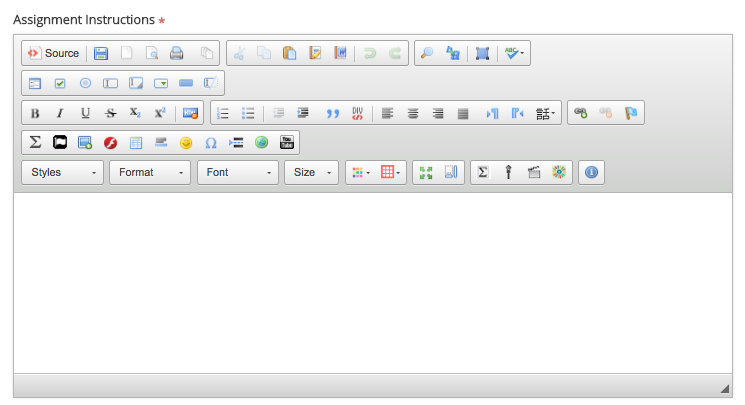 Inline only: Student may only submit a response by entering their content into the rich text editor. 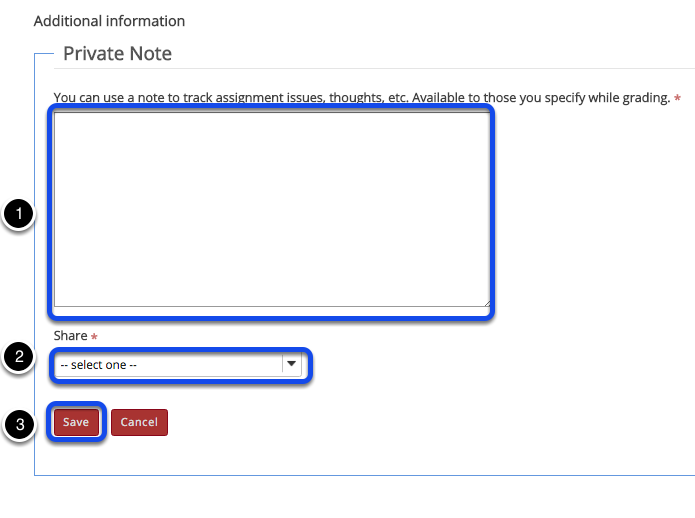 The attachement option is not available. 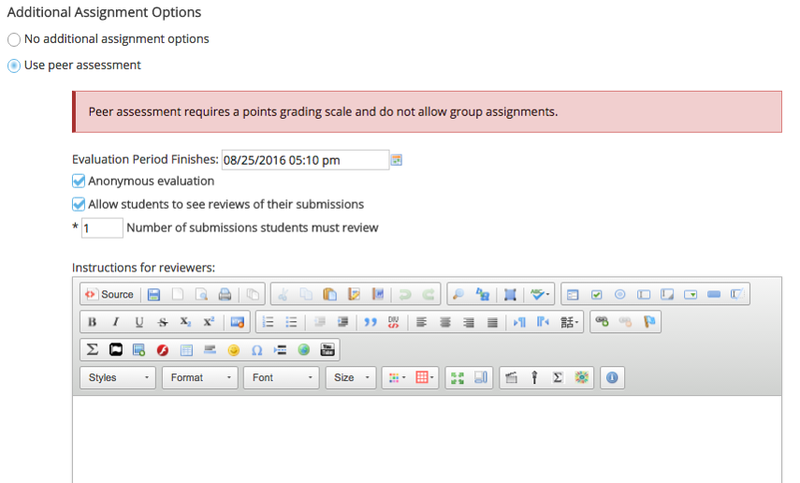 This is a good option to choose if you want to be able to grade all of the responses online without having to download or open any files. 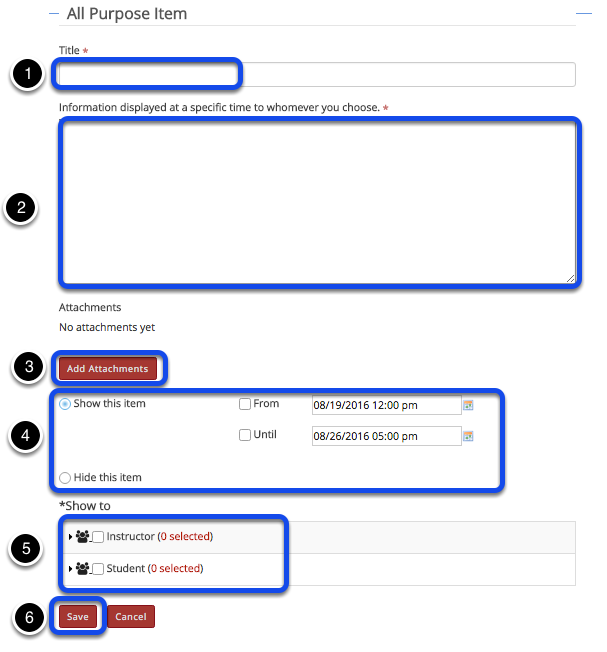 Tip: If you want students to submit one assignment per group, use the Group Submission - One submission per group option above.